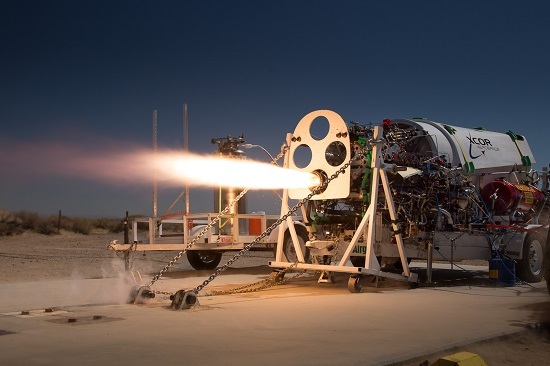 MOJAVE, Calif. – Troubled XCOR Aerospace, a pioneer in reusable rocket engine technology, filed for Chapter 7 bankruptcy in federal court on Wednesday, according to court documents. The filing will lead to the liquidation of the 18-year old company, whose engine technology was designed to power the two-person Lynx suborbital space plane XCOR was building. The vehicle, which was designed to take off and land on a runway, was only partially completed before most work on it stopped last year. XCOR has a matter of weeks to conclude a deal with a potential partner or face liquidation under Chapter 7 bankruptcy. In an Oct. 19 interview, Michael Blum, a member of the board of directors of XCOR who took over as chief executive at the end of June, said the company has been in discussions with potential strategic partners and other investors interested in its propulsion technology and Lynx suborbital spaceplane, but those negotiations have taken longer than expected to finalize. XCOR has been in discussions with a number of potential partners and investors, Blum said. One approach has involved discussions with strategic partners, including an unidentified large aerospace and defense company primarily interested in XCOR’s propulsion technology and related intellectual property. XCOR has also been in talks with investor groups. One such group, he said, is particularly interested in XCOR’s Lynx suborbital spaceplane as a means to quickly get into the space tourism market. 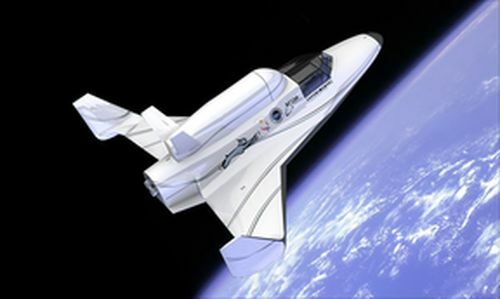 XCOR has been working on the Lynx for several years, and the prototype vehicle is about two-thirds complete. A second group, Blum said, is in the industrial and manufacturing sector that is already familiar with XCOR. Despite laying off its 21 remaining employees, XCOR Aerospace isn’t dead yet. But, it’s not in real good shape, either. It turns out that a major blow to the company was the loss of a contract with United Launch Alliance (ULA) to develop an upper stage for the Vulcan booster. The primary impetus for the layoffs, Acting CEO and XCOR Board member Michael Blum told me, is the loss of a contract for engine development that the company had with United Launch Alliance. “The proceeds should have been enough to fund the prototype of Lynx [the company’s planned spacecraft], but ULA decided they’re not going to continue funding the contract. So we find ourselves in a difficult financial situation where we need to raise money or find joint developments to continue.” ULA declined to comment. Jay Gibson’s two-year tenure as president and CEO of XCOR appears to be at an end. On Friday, President Donald Trump announced his intent to nominate Gibson to be deputy chief management officer of the Department of Defense. 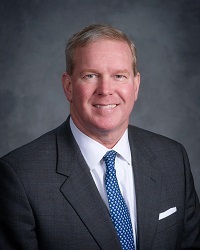 The announcement describes Gibson as “most recently” having been XCOR’s president and CEO. However, a source says he is still at the company. The nomination is subject to Senate confirmation. XCOR hired Gibson in March 2015 to replace founder Jeff Greason. 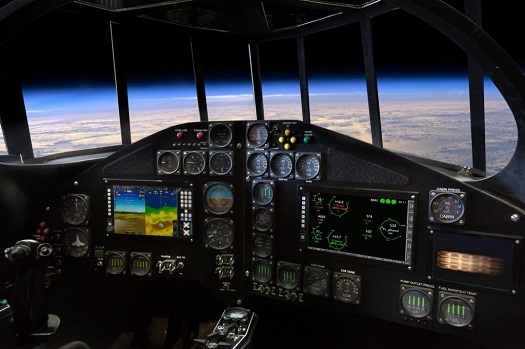 The objective was for Gibson to focus on the business side while Greason focused on completing construction on the Lynx suborbital space plane. That arrangement did not work out. By November, Greason and two other founders, Dan DeLong and Aleta Jackson, had left the company to found Agile Aerospace. In May 2016, XCOR laid off about 25 employees — roughly half of its workforce — and suspended work on the Lynx. The company has since refocused its energies on its rocket engine work. Movement on Firefly-Virgin Galactic Legal Dispute? This is an interesting Tweet from Firefly Space Systems’ co-founder Michael A. Blum on Wednesday to Virgin Galactic CEO George Whitesides with a cc: to Whitesides’ boss, Richard Branson. Claude appears to be Claude M. Stern, one of Virgin Galactic’s lawyers. Earlier this month, Virgin Galactic filed suit in Los Angeles Superior Court against Firefly Systems and two of its officers, Michael Blum and P.J. King, alleging misappropriation of trade secrets and unfair competition. The lawsuit is related to arbitration between Virgin Galactic and the company’s former vice president of propulsion, Thomas Markusic. Virgin alleges Markusic took trade secrets and confidential information with him when he left his position at the end of 2013 to co-found Firefly with Blum and King. The lawsuit alleges that Firefly, Blum and King benefited from knowledge that Markusic took with him from Virgin Galactic. Markusic and the defendants have denied the claims. Firefly laid off all of its employees at the end of September, saying the company had run out of money after an investor pulled out. Firefly was developing a small satellite launcher, Firefly Alpha, that would have competed for business with the LauncherOne booster that Virgin Galactic is developing. Just a brief update on the legal fight between Virgin Galactic and Firefly Space Systems. The hearing scheduled for today in Los Angeles Superior Court has been postponed until Feb. 23. 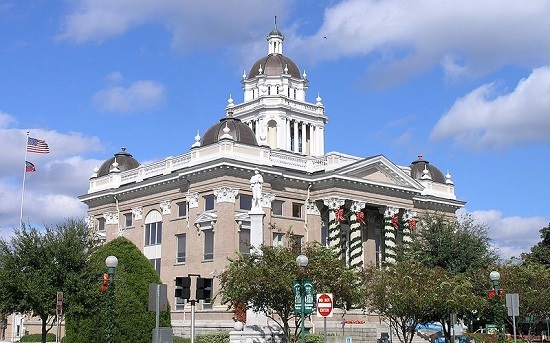 The hearing concerns a lawsuit filed by Firefly board member P.J. King seeking to overturn an arbitrator’s ruling that he must turn over documents and other materials to Virgin Galactic. I’ve been getting some inquiries from media about the court documents. The lawsuit filed in LA County Superior Court is online at https://www.lacourt.org/. Do a search in civil cases under online services. The documents are not in the federal PACER system. The documents for the Clark County, Nevada district court filing were not online the last time I looked. Your best bet would be to contact the parties involved. You will find contact information in the documents filed for the Los Angeles lawsuit. 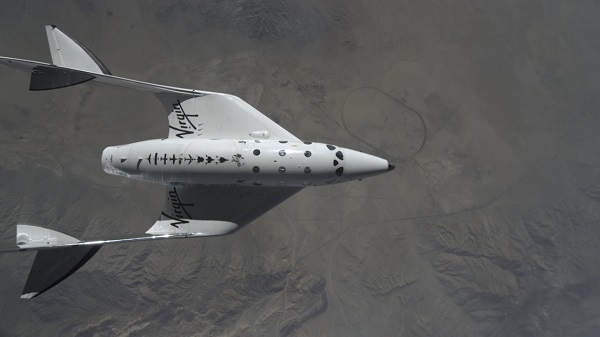 Virgin Galactic’s former vice president of propulsion, Thomas Markusic, has accused Richard Branson’s space company of lying about the safety and performance of its SpaceShipTwo suborbital tourism vehicle. “Dr. Markusic was forced to separate from VG [Virgin Galactic] because the company was defrauding the public about the ability of the vehicles to reach space and was utilizing rocket engine technologies that have a high probability of causing catastrophic failure and loss of life,” according to the document. In Virgin Galactic’s arbitration procedure against its former Vice President of Propulsion, Tom Markusic, Sir Richard Brnason’s space tourism company has sought a broad range of documents in its effort to prove that Markusic violated his employment contract and took proprietary information in setting up a rival company, Firefly Space Systems. Earlier this week, Firefly co-fouder and board member P.J. King filed suit in Los Angeles seeking to set aside a subpoena signed by arbitrator Louise LaMothe seeking documents from him. Virgin also has requested documents from Firefly and director Michael Blum. The information below shows the documents requested in the subpoenas served to King, Firefly and Blum. The materials include employment contracts, organizational charts, specifications for engines and launch vehicles, development schedules, financial statements and other documents. A member of Firefly Space Systems board of directors has filed suit in Los Angeles to overturn an arbitrator’s judgment that he turn documents over to rival Virgin Galactic in a dispute between Virgin and its former vice president of propulsion. 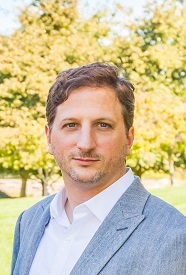 Patrick Joseph (P.J.) King filed the action on Tuesday in a case involving Tom Markusic, who left Virgin Galactic to form Firely with King in early 2014. “After Dr. Markusic left Galactic, [Richard] Branson sued his ex-employee the the Arbitration, falsely accusing of Dr. Markusic of breaking his former employment agreement by ‘stealing’ what apparently is nothing more than standard open-source technical information which is available in the academic literature, that Galactic claims are someone ‘trade secrets'”, the suit reads. AUSTIN, Texas, July 2, 2014 (FireFly PR) – FireFly Space Systems, a ground-based, small satellite launch company, has officially announced its first launch vehicle, “FireFly Alpha.” This efficient, brand new vehicle is capable of carrying 400kg into low earth orbit and will be the world’s first dedicated light satellite launch vehicle in this mass class. Following its official launch and seed funding in January, FireFly has aggressively moved forward in its mission to lower the prohibitively high costs of small satellite launches to Low Earth and Sun Synchronous Orbits with the goal of revolutionizing broadband data delivery and earth observation missions.